Dress yourself in style with our fine garments! T-shirts, tank tops and hoodies with fantastic dragons, unicorns, fairies and more await you! 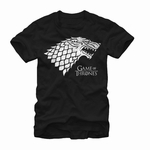 We also carry Game of Thrones sweatshirts and tees, so you can show the world your Westeros pride. Whatever garb you happen to seek, you're sure to find something that pleases you! 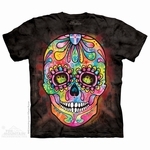 Many of our beautiful, full-color fantasy T-Shirts are from The Mountain. All Mountain Shirts are 100% Cotton (Pre-Shrunk) and made in the USA!